Some people always astonish me by being their most productive selves 24/7. They accomplish the tasks I struggle with in a much shorter time. How do they do that? Let’s ask experts. Unsurprisingly, routine tasks are much easier to accomplish than new ones. What is interesting, they are also relaxing. The whole process of making your bed, brushing your teeth, eating your cereal, and walking to work is akin to the process of meditation, which can help you work through some of the issues you had to deal with yesterday and prepare your mind for today. Embrace the simple tasks you have to do. 2) Define your goals When being asked how to accomplish more, many successful people get confused and ask what exactly a person wants to achieve. This is only natural, as many entrepreneurs only thrive in environments full of clearly defined aims and plans on how to achieve them. These conditions focus the staff and help the leader stay on track and resist procrastination. The toughest and the most unpleasant chores are usually left for the last minute. However, research shows that doing the most important tasks first reduces stress and leaves more energy for other projects. Additionally, you get to lessen your fears by confronting them head on. It may be strange to see a recommendation to rest among productivity tips, but the truth is, managing your downtime is a real science. In general, people get considerably tired every hour and a half or so. This is a natural rhythm our body accepts, so why not use it? Separate your work day into three intervals and use the time in between to exercise, socialize, and look at the pictures of cute cats on the Internet. It will considerably improve your productivity. Continuous development is a fundamental virtue. This is why analyzing past performance, especially if it did not lead to the desired results, is so important. Of course, one should avoid over-analyzing and punishing oneself for failures, but finding out what went wrong to avoid it in the future is helpful. Becoming truly successful is not that difficult. 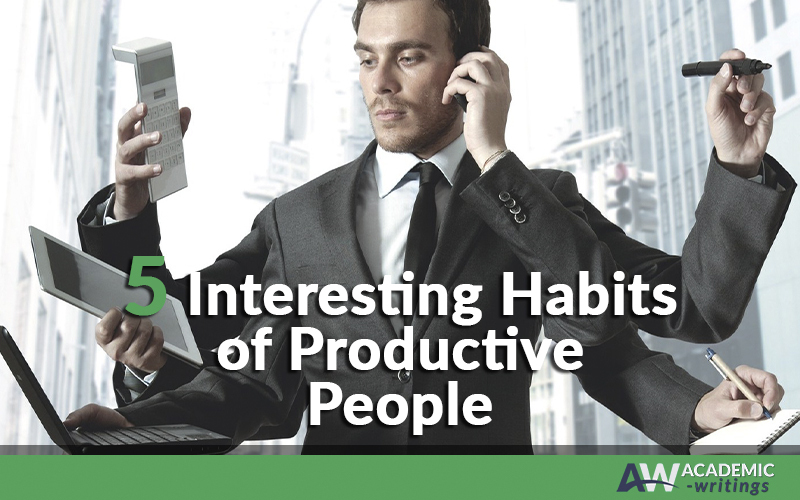 Develop these habits and see for yourself!